Retained Health and Safety and Competent Person Services from JHS Health Safety Consultants. For Expert Health and Safety Help. Summary of Retained Health and Safety Services. – Review how you manage health and safety at work, by using our health and safety review tool. Introduction To Our Retained Health and Safety Services. In general, if employers manage their jobs well, then their workers will be happy too. So, it’s likely that clients who subscribe to our retained health and safety service will get the full benefits. 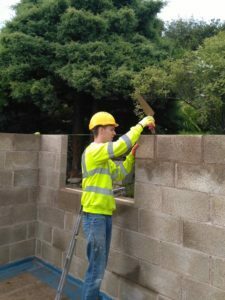 Our simple to use service can and will really help them to get it right on site. These include our easy to complete documents and forms to manage their jobs. JHS Health and Safety Consultants offers retained health and safety services to clients in England, Wales and Scotland. Our expert health and safety consultants have first-hand construction and building, and scaffolding experience. You will get a good deal with us. Retain our services to help you meet your legal site duties in construction and building or scaffolding health and safety. We can help you to qualify for work too; such as giving you a hand to comply with SSIP needs. Join us, and we are there you need us. You never know how urgent you may need our help. We develop our service to keep your costs fair; which is why our service is lean, and so has no costly or needless aspects. We like to keep you happy too, so please let us know what you would like; and we will see what we can do to improve. Retained Health and Safety Services – Subscription Options. JHS Health and Safety Consultants have an offer for our NEW CLIENTS ONLY. This is a huge 25% off our standard one-year subscription fee. So, new clients can have a first year construction and building or scaffolding health and safety service for just £495.00 plus VAT. So what will you get if you have our retained health and safety services? We will send our clients a broad health and safety policy. The policy will guide our clients on their health and safety arrangements too. We will of course, consult with our clients first; and then we will attune the policy to the nature of our client’s business (“Policy”). We will print the policy once and send it to our client in a ring binder. What’s more, it will be available as a PDF too. And, if needed, each year we will update their policy to reflect changes in their business, or law. (This, of course, is for as long as our Client renews their subscription). Clients are welcome to buy printed copies for any of their health and safety policy annual update pages. They will cost £15.00 plus VAT, for each set. Our clients can buy a bound duplicate policy for just £35.00 plus VAT, if they wish; but this will be £125.00 plus VAT, if there is any need to make it suit another set up. (All of our prices will include our P&P costs). We will provide our clients health and safety advice. And there is no limit on the health and safety advice that our clients can have from us. Also, if you choose to have our retained health and safety services, you have access to use our unique online features. Our clients have online access to our risk assessment tool. Our risk assessment tool comes with detail on preset hazards and risk controls. From these, our clients can use the data as they choose to create and keep many risk assessments. And, all they will need to do is delete or edit text to suit their job; so clients can have more or less detail, as they see fit. If they wish, the tool has a blank template to use too. Our clients can make their assessments general. Or they can make them site specific; so that they best suit laws on assessing risk. The tool will help our clients to save time; it is easy to clone assessments. And clients can save assessments with a unique identity too. And then they can see, and print them as a PDF file. There is a tool for our clients to create their job’s construction health and safety plans and methods. It has many preset options, already checked; but it is easy to edit too. Our clients can add information to suit their job too, and to make the data site specific. And then there is a tool for our clients to carry out their health and safety reviews; as it is wise perhaps that they review how they manage health and safety, once in a while. There are useful forms too. For example, for site first aid, or fire details. Site rules. There are Pages of site rules, which you may like to utilise and or adapt to your sites. And, our clients are welcome to view our website blog.